Belleek Signing Event Pieces Now Available for Pre-Order! Celebrate your loved ones Communion with our Peace, Light, Joy Frame! Features Communion chalice detailing. Holds 4x6 photo. 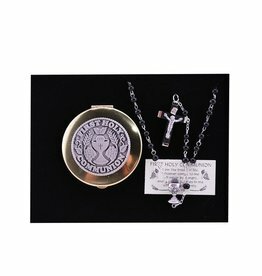 A charming little keepsake for First Communion! 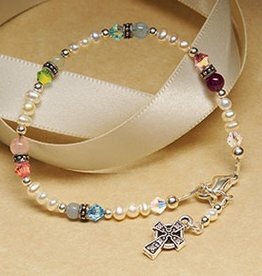 This handmade bracelet features a Celtic Cross, freshwater pearls and multicolored gemstones, including amethyst, rose quartz, and aquamarine. 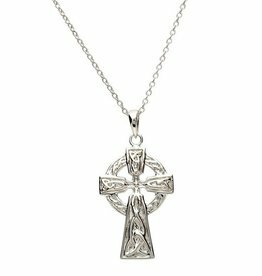 This lovely little double sided sterling silver celtic cross is the perfect size for a Communion or Confirmation! Measures 16mm x 31mm and comes with an 18" sterling silver chain. Cross features trinity knot designs. Comes gift boxed. Made in Ireland. 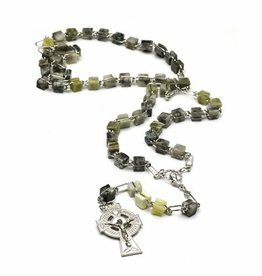 Hand crafted in Ireland, these unique Connemara Rosary Beads come in various beautiful shades of green. The Rosary features a Celtic Crucifix. Carry them with you everywhere! 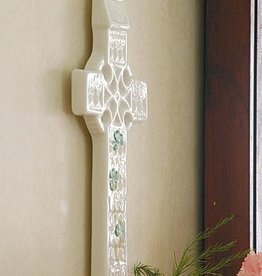 Makes a great gift for communion, christening, birthday or more! 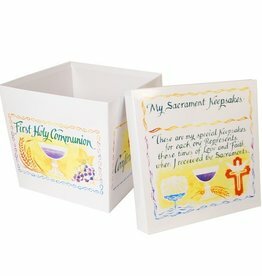 This heirloom box, featuring the beautiful calligraphy of David Mekelburg, honors the sacraments of Baptism, First Holy Communion, and Confirmation. Keep photos, jewelry, and other mementos inside. 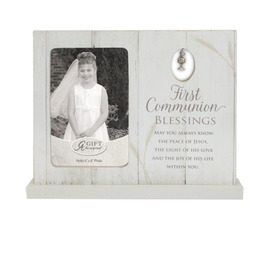 Celebrate your loved ones Communion with our First Communion Blessing Frame! Made of MDF, this frame features pewter charm chalice detailing. Measures 9.5x7.5” and holds a 4x6” photo.